Join us at the BYU Conference next week! Our next conference will be at Brigham Young University in Provo, Utah, 28-31 July. There will be a vendor booth, as well as a class on planning research to become a more effective and efficient researcher. We hope you will join us! 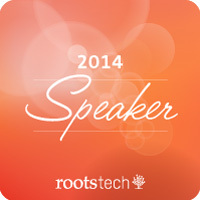 ResearchTies is excited to be participating in the popular RootsTech Conference in Salt Lake City next February. You will find us in the large and lively vendor hall where we will be giving short presentations and answering questions. We will also hold a 50-minute session during the conference titled, “Digitally Organize Research and Note Files with ResearchTies”, where attendees will learn best practices, tips and tricks. Jill Crandell, creator of ResearchTies, will also be a panelist in the discussion, “Game-Changing Trends in Simplifying Research Tools for the Masses.” We look forward to seeing you there! ABSTRACT: New development opportunities in research assistance, research logs, descendancy analytics, and new visualizations that make research easier. 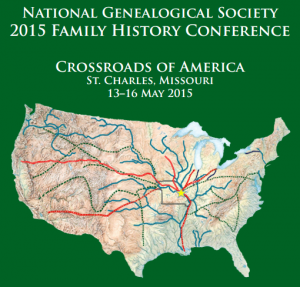 Between August 22-24, ResearchTies participated in the Federation of Genealogical Societies Conference in Fort Wayne, Indiana. 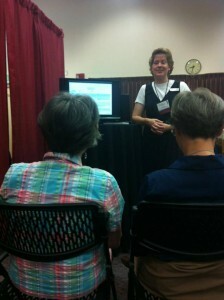 With over 2000 genealogy enthusiasts attending, we enjoyed sharing ResearchTies with many new individuals. We also loved visiting one-on-one with many of you and sharing more details of the product. Many of you went home eager to tell your friends. 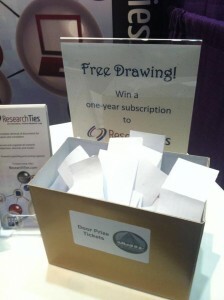 ResearchTies is currently offering every subscriber the opportunity to extend their subscription. Every time you tell a friend about ResearchTies and they subscribe, we will add three months to your subscription. Just have your friends email us and let us know that you recommended them. During the conference, we had many people enter our drawing. Congratulations to our two lucky winners who won a free subscription to ResearchTies! But, do not worry if you were not one of them. We have a 2-Week Free Trial available. Just click on the “Free Trial button” at the top of our homepage, and you’ll be on your way to better organization. Thank you again to all of those who visited us at our vendor booths. We look forward to communicating with you further and sharing the joy of organized research. Stay tuned for webinars and video tutorials coming soon! Visit our website and social sites to learn more.